The downloads on this page differ from my Demos ; downloads are working applications. With minor customization, you can generally use them "as is" as soon as you download and install them. Most free Access database downloads on this page are available as mdb (Access 2003) and accdb (Access 2007-2013) formats. Most of these databases should run under Access 2010 and Access 2013; however, we have not tested all of them under all environments, so you may need to make adjustments to adapt them to run for you on your computer. The Microsoft Access Downloads on this page are "As Is"
Downloads are offered for your use "As Is" demonstrations. They illustrate concepts and approaches to designing databases for specific business requirements. I do not provide updates, modifications or customizations for these demos. The code is open and unprotected. If you want to make changes, you are free to do so at your own investment and risk. I make no warranties of suitability for any purpose. I would be very grateful for any feedback you wish to share regarding one of these downloads. Did it work as described? Anything missing that would make it more useful as a demo or sample? If you wish to hire me to customize a sample or template, use the Contact Form to give me the details. If you have suggestions for improvements to the basic functionality, Please let me know. I'll consider such modifications on a case-by-case basis. If you want to request a customization for your organization, Please request a quote. I'll provide you with a quote for that customization. What's the difference between a "customization" and an "improvement"? If I have to add new tables to support a particular function, that's a customization. If we can make the demo more useful by changing a label on a control, or by rearranging the layout of a form or report, without adding new components, that's an improvement. You'll need the free Abode Reader © to open and read some of the documents on this page. You may want to acquire a program like WinZip © to open compressed "ZIP" files. WinZip is free to try and inexpensive to register if you decide to continue using it. 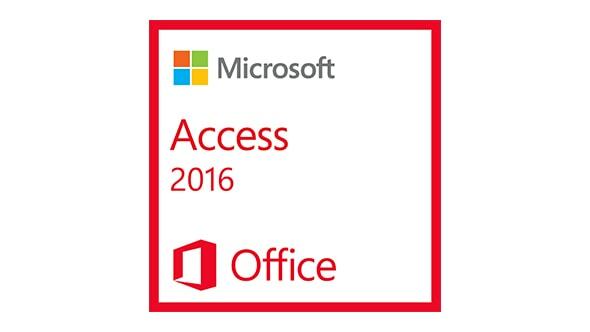 Buy MS Access ©You'll need a licensed copy of MS Access © to open the demos here. You might use this basic version as a "starter" for your own purposes. Like all of my demos, it can be expanded if you wish. Feel free to make any changes needed to suit your situation. However, note that I can't be responsible for any use you make of the application. Updated on January 3, 2017. If you'd like an estimate on a customized version of this tool for your organization. Created to staunch the paperwork flood in an Dish Network Installer's business, Installations is a fully functional MS Access database in the accdb format. Try it out, "as is" on your own PC for free. It was custom-built, so it will not be of direct use to you without some modifications to fit your business rules. The instructions are included. To try it out, create a folder for it on your hard-drive and save the compressed file (installations.zip) to that folder. Double-click on the "ZIP" file to open and extract the files into that folder. Double-click on "Installations.mdb" to launch the 2003 version of the application, or on "Installations.accdb" to launch the 2010 version. Please request a quote . if you'd like an estimate on a customized version of this tool for your organization. The ZIP file contains Access 2003 and 2010-2016 versions. I have often recommended the Northwind Access database as a good way to get started with table design based on valid normalization. It was a pretty good example. It's probably the most complete example of a retail sales application out there. Unfortunately, it also has undesirable design features that make it less than ideal as a "starter" for new developers. That's always bothered me, so recently I took a closer look. It's more complicated than I had thought. It's not good or bad, just complicated. For a beginner, looking for ways to get started, that's a hurdle. Object names contain spaces and non-standard characters This was my main concern, but it's worse when you read through the entire database and realize how intricate the VBA and macros have to be to handle those names. Many Primary Keys retain the default name "ID", which Access assigns to all newly created Autonumbers. This makes it really hard to track which ID came from which table in the many macros, procedures, queries, forms and reports. Of course, if all of the references were fully qualified (e.g. "Orders.ID" instead of "ID"), then it would be less of a hassle. But we're talking about a sample database aimed, one assumes, mostly at new developers and power users not already expert at figuring this stuff out. If I have to work at it, how must they feel? The code in Northwind is a combination of Macros--mostly embedded in forms, but also free-standing--standard VBA, and classes. Not that many new Access users are comfortable with classing, even though it's a powerful tool. To my way of thinking, this mixed mode approach to coding puts the Northwind sample database firmly on the wrong side of a line dividing "introductory" databases from "professional" database templates. Because of these characteristics, customizing the Northwind sample to fit the needs of a different organization is anything but a simple task. And that is it's biggest drawback. So, my customized version is a first step towards making it more accessible to non-pros. I changed all object names to the more conventional standard of having no spaces and no special characters in them. I renamed all Primary Keys from "ID" to include the name of the table, e.g. "OrderID". This simple step should help new Access users follow the trail more easily. I know that more experienced users won't benefit so much, but this is not aimed at them, only the newbies, anyway. Down the road, I'll tackle the code. My intention is to convert macros to VBA where it makes sense to do so. There are places where they do make sense. Unfortunately, the power of the classing approach is too important, in my mind, to eliminate it, so it stays at least in this version and the next. We'll see after that. If you decide to download and check out my revision, please let me know if you find any bugs in it. GPC's Proposed Application Profile is my basic, initial, planning tool for new projects. Feel free to download and use it in your own planning. When you're ready, you may wish to submit a completed PAP. Download the full, working accdb or mdb version of GPC's Work Tracking Demo, with the VBA that makes it work. I originally built this tool for myself, to track time and efforts on projects for my clients. Over time I expanded it to include some rudimentary Project Management features,such as defining the deliverables for a project, scheduling major milestones, and prioritizing tasks. It's a little more than a timesheet and a little less than a project management tool. You may either use Work Tracking as-is or modify it to suit your needs.The current backend DB for my working version in on SQL Azure, but this one still works well as a starter. Please request a quote if you'd like an estimate on a customized version of this tool for your organization. NOTE: The "accdb" version is tested and works in Access 2007 through Access 2016, both 32 bit and 64 bit version. Although the accdb format is nominally "2007" for both versions, there can be differences between files created with 2007 and 2010- to 2016. I tried to ensure that none of those differences are present in this particular accdb. I recent added code to track and record all changes to data in this version. It creates an audit of data changes by user who made the change and the date and time on which the change was made. Please report any bugs in this newest version, so I can fix them. The change history function is NOT included in the mdb version. I don't expect many people are still using this version any longer anyway. Like all of my samples and demos, this one is offered "As Is" with no guarantees of fitness for any particular purpose. Use it or modify at your own risk and with your own effort. This ZIP file contains both mdb (tested in A2003) and accdb (tested in A2007 through A2016 and A2016 64 bit) versions. Only the accdb version contains the Change History Function. I believe it's important that you understand what relational database applications are and how they work. The most important principal is that Relational Databases are NOT just super-charged spreadsheets. While there are many good references on the web to choose from, I've limited the list to these favorites.